2020 Report of a bird in the Graduate School. Security attended but the bird could not be found. 1800 Report of dogs running loose at the rear of Abbey House. Security attended. 1330 Patrol Security Officer stopped a couple who were walking through Jubilee Campus with a Bull Terrier dog off its lead. The Officers asked them to put the dog on a lead which they complied with. 22:30 Security were informed that a group of students dressed as tigers were threatened by a male in a blue car. 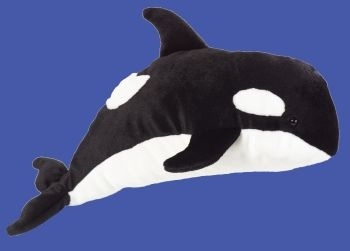 The students had shaken a stuffed whale at the car, the car stopped and the driver got out of the vehicle and walked towards his boot to get something out. The passenger had stopped him and then they drove off. Security made a search of the campus but car was not found. 1400 Report of a group of males hare coursing on University Land adjacent to the Sutton Bonington Campus. Security attended, Police informed. 2000 Report of a dog running loose around Abbey house. Security attended – the owners of the dog were asked to put the animal on a lead. 13:00 Security called to room A05 Plant Science, Sutton Bonington Campus. A pigeon was trapped in the office, it had caused a lot of mess. The pigeon was released and Quality First called out to clean up. 1415 Report of two males hunting with a falcon on University Farm Land, Sutton Bonington Campus. Security attended and the males were told to leave University property. 0200 Report of a cat in the Pope Building. Security attended and removed the cat. This entry was posted in Community, Diversions, Education, HE, Students, True Crime on Campus, University and tagged campus, crime, Diversions, HE, security, Students, universities by Paul. Bookmark the permalink.